MLM Home business training for network marketing on How to Instantly Relate to your Prospect when prospecting. This will help you in your home business and mlm recruiting. Discover the Secrets of FREE Endless leads that produced Billions in Volume! Home business entrepreneurs have to understand that they will run up against resistance. I do mean Resistance. But not the kind that is physical. It is more mental and psychological. It is more emotional. But it is as devastating to some people as actually physical resistance. Ok…but do you KNOW WHY that you are getting that answer a lot? Have you studied the reasons why? Maybe I can help you understand better why this is happening. Many people that have a home business face the fact that they get a never ending string of No’s and never really understand why. They end up getting discouraged, and then many simply walk away because they cannot handle the negative outcomes that keeps their MLM business in the doldrums. Why do people continue to think that what they are doing is going to work if it isn’t working NOW? Amazingly, they continue to say and do the same things over and over and expect different results. Yeah right. As if that is going to work. And one of the biggest reasons that they get the word NO more than YES, is they do not understand why the prospect tells them NO. It really is quite simple to understand. But the average distributor/consultant does not think of that. They have an agenda and will stick to that agenda no matter what. That is why they are average. Ahem. to say NO, not YES. What if you could discover the 5 Biggest reasons that prospects say No? Would that make a difference in your Success efforts? Of course it would. You have a goal of Success in your home business. But your prospect’s results are going to determine how your business goes. So should you care about why they are telling you NO? OF COURSE! And that is the reason why for this article. So what are the 5 reasons why prospect’s tell you NO? 1) Lack of Perceived or Thought of VALUE. One of the biggest mistakes made in networking and in home businesses, is not creating enough VALUE in what you are saying. You need to create extreme VALUE with your products, business, and especially your Leadership. It is ALL ABOUT VALUE. No matter if it is social media, offline or internet marketing. Value is what people are looking for. Value is what people are expecting. Value is what people demand, and if you do not create that with your conversation, then you probably are headed for the NO ZONE. The NO ZONE is where lack of Value lives, and does it’s ugly work. 2) Bad Timing in the Prospect’s Life. Many prospect’s life is not conducive for having a networking home business. Not every one has the perfect time for that. Some prospect’s have things going on in their life that you may not know about. Divorce. Finding a new job. Relationship challenges with kids. Parental challenges. Emotional challenges. Many people have different things in their life going on that may prevent them from joining you in your business, or even purchasing a product. Don’t freak if that happens. They may even be in an emotional funk. That is ok. That will pass. You can talk to them again. Don’t get all upset and depressed. Just go to the next name on your list. 3) Prospect does not feel comfortable with you. You may not sense it. You may not feel it. You may be oblivious to it. But it is there. The body language. The looking away. The silence. 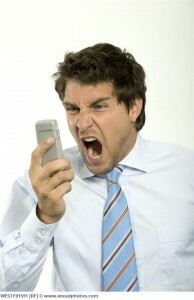 Not returning your phone calls. Odds are they will not tell you the truth, but they will know that you sense something that is not right. Move on to the next prospect and connect to that prospect in a powerful way. 4) They are Assuming the Wrong Things. Many prospects assume that they have already heard this “pitch” before, and lump you into all the other network presentations they have heard. They assume you are no different. They assume you are only after their money. They assume you are not a professional. They assume you will disappear like all the others did. Keep in touch and let them know of the updates as well as the Success you experience. Do not let their assuming that you are like all the others become the truth. Do something different. Be a professional. Stay in touch. Do not beg. Forget the business. Focus on the relationship. 5) Bad Experience with a previous Company or Product. That is the slogan for these folks. They simply do want to listen to you as they are still stinging from the last one that did not work. Or the last network marketing product that did not work. Or the last promise that did not work. Or the last person that became a part of the witness protection plan. ‘Thank you for sharing that with me and I am so sorry. That is not right for anyone to get treated like that. Please tell me what happened as I do care about this and would like to make it up somehow…that is just not right.” And then listen to the prospect and let them talk. Many times they will talk themselves into doing business with you. Happened to me a lot. Do not think it will work? Try it. You will be surprised. These are the 5 Biggest reasons why prospects tell you NO. Learn them, and then turn them into something that will work FOR YOU- not against. 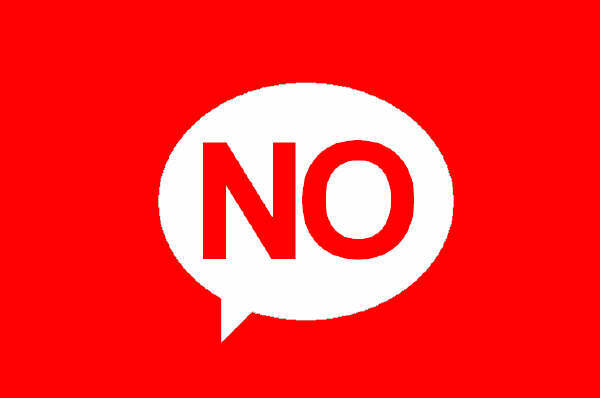 Many times a NO is simply a “NOT NOW” in your Networking Home Business. Keep in touch, and keep in the Success Road. 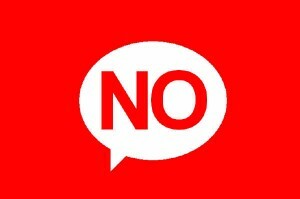 NO is NOT the final word in many instances. They say “NO” because they do not “KNOW” yet. Sometimes, it takes more information, more education, sampling the product, another three way call, another post or video. This is critical that you NEVER accept NO as the final word. NO = Not Now. Try again in the future. And keep focused on the ultimate goal: Getting a string of YESES for your home based business. How do you turn your business around in 1 Minute or Less? Home Business Training- What to Do When a Prospect Goes Ballistic? Home business success is about being able to build your business NO MATTER what happens, is said, or is done. Many Leaders have gone through a Ballistic Prospect before, but rarely shares what to do with her/his Leaders. Many times, in calls as well as face to face meetings, or even public meetings, there can be a negative prospect or even a Ballistic prospect that really gets upset. Home business Success requires that you build your business with prospects that are HAPPY to be talking with you, not upset. You WILL occasionally run across those types that for whatever reason, are just upset at life and take it out on you. Do NOT fight back with words. They want to get an “anger thread” going and get everyone’s attention and comments. Do NOT go there as that is a fight that you cannot win. 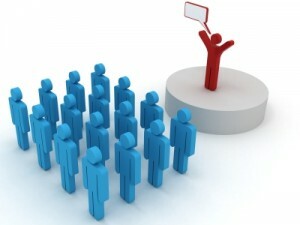 Simple, to the point, and leaves you looking like a True Leader in your home business mlm business. Home Business Training- The 3 Things that Stops Everyone? require the proper education and training on ALL aspects of building a business as well as yourself. That is the purpose of this home business training. If you have been in Home Based business for a while you will find that there are a lot of times that you just feel like walking away. The pressure is real and the frustration can drive you crazy. I nearly quit the first 2 years I was in this profession 4 times and wow! What that would have cost me if I had! Home business survival when you are new is typical and must be dealt with. But after awhile it goes beyond survival to making a decision that you are staying…or leaving. I have found that there are 3 things that stops everyone. But the ones that Succeed in home business are the ones that get past these 3 hurdles and makes these 3 things a STEP versus a stumbling block. You learn that in home business training. What are the 3 things that stop everyone and what can you do about it? This is a killer of many a home business. The owner catches fire, but burns too bright and then starts to burn out and then burn up.They become fatigued and just worn out. This business is where you must PACE yourself. Any business owner will tell you that you must go at a steady pace versus run a race. And take care of your body and diet. Eat energy foods, exercise, and drop some pounds if you need to as that alone will keep you tired. If you are constantly stressed out because of your mlm business– you are working it all wrong. This business is Lifestyle Marketing. You work it as you live your life, not live your life as you work your business. You TAKE IT WITH YOU-not it takes you with it and dominates your life. Stress can stop the best in this profession because of the worry and anxiety that goes with it. Let up and let go. Take a break and get with your kids or spouse and destress your life and business. It is NOT worth losing your health and lifestyle and more trying to make it work. You are working it wrong. Do not try and MAKE it work- LET it work naturally and you will find that your home business will start growing. Ahhh those pesky opinions of others, I could write a book on what I was told over the years. Opinions can stop you cold in your tracks. Especially from a person of influence. Opinions can make your business jump the track if you are not careful. Learn to listen to people that have BEEN THERE and can take you to where you want to go. If someone has a negative opinion, so be it. It probably will not change and it is best if you do not try to change it. Becoming successful will change their minds without any forcing from you. These are the 3 things that can stop anyone in a home based business. Make sure that you watch out for these hurdles when you are growing and building your home business in network marketing.